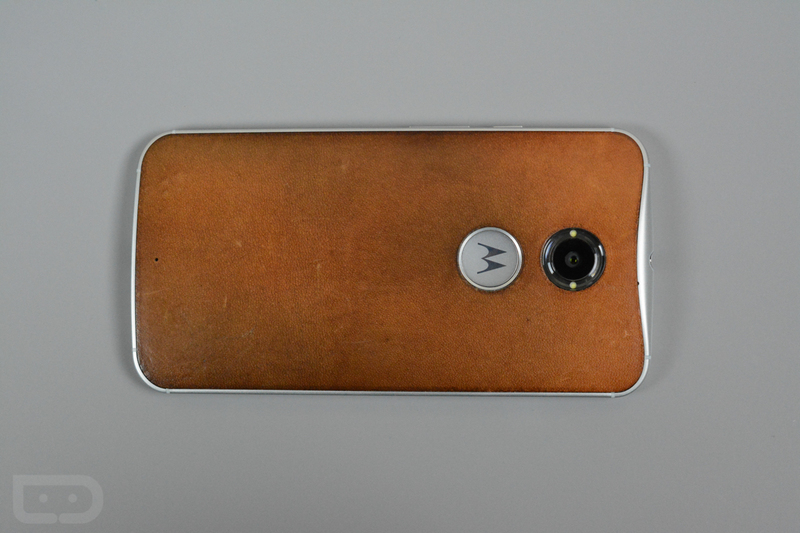 As you can imagine, there were plenty of skeptics who questioned Motorola’s decision to offer Horween leather as an option through Moto Maker with the new Moto X (2nd gen). 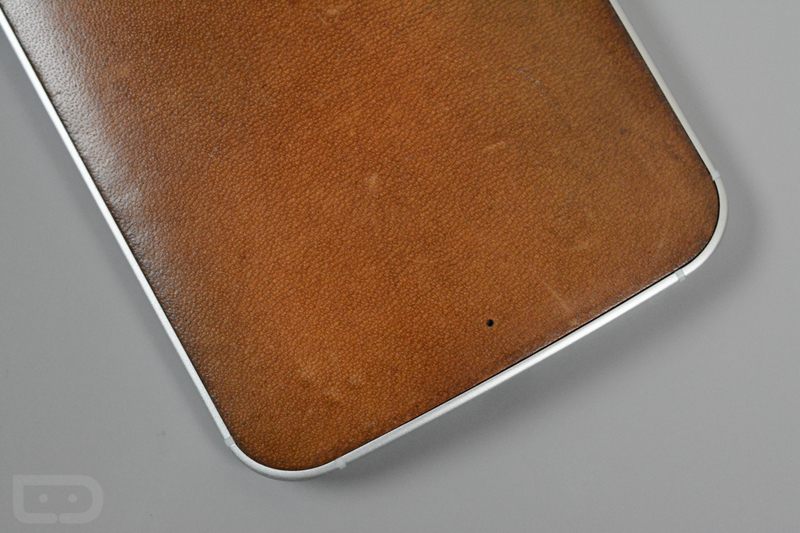 Leather certainly isn’t as durable, at least in most cases, when compared to plastic or wood. It’s soft, after all, so on one level, I can understand that point of view. 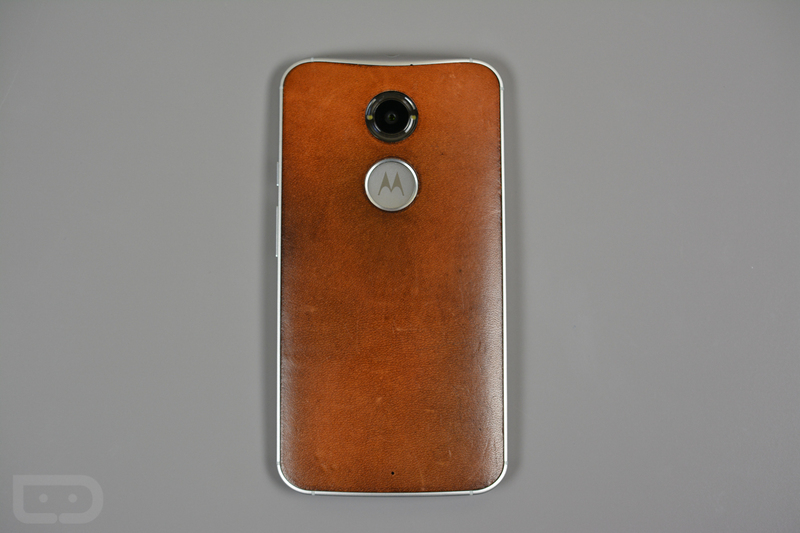 But I can tell you that from the minute I first held a leather-backed Moto X in my hand at the phone’s unveiling, I knew exactly which version I would go with if I were to buy one – you guessed it, leather. What a fantastic decision that was. 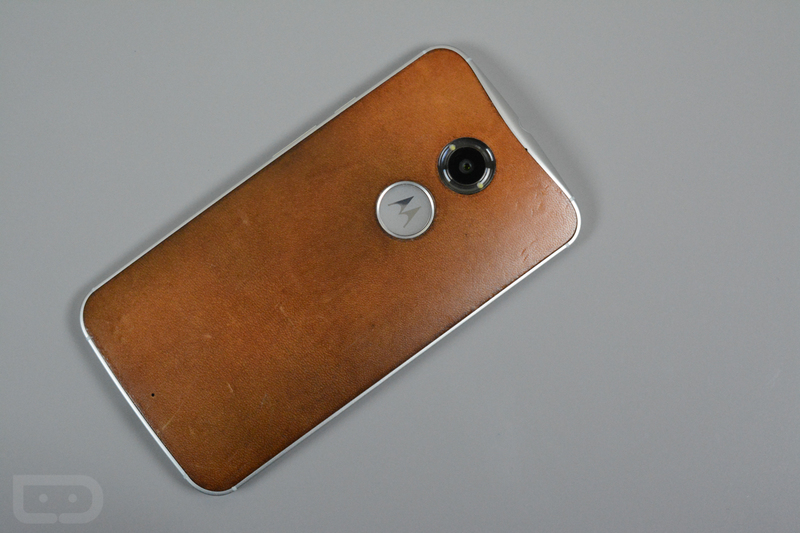 I have now had my leather-backed Moto X for just over three months. 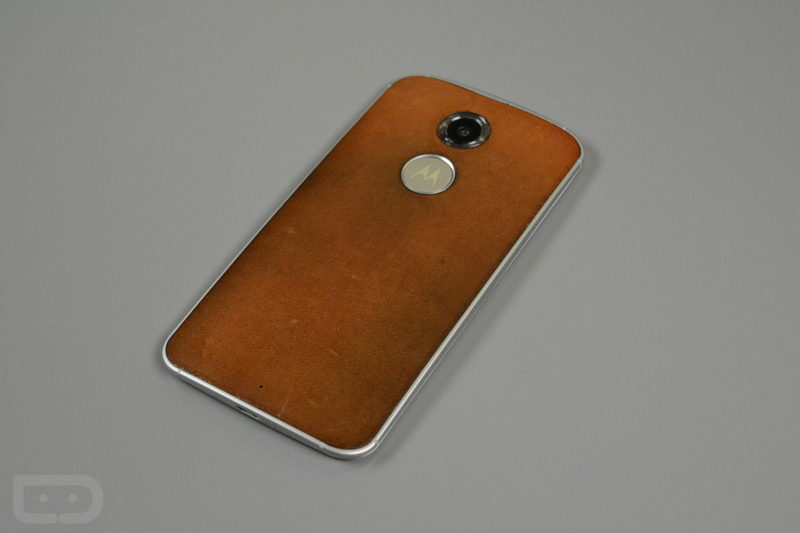 I went with the “natural” color in part because I liked the lighter leather, but also because I had a good feeling about the way it would age. Like fine wine, it is only getting better the longer I have it in my possession. 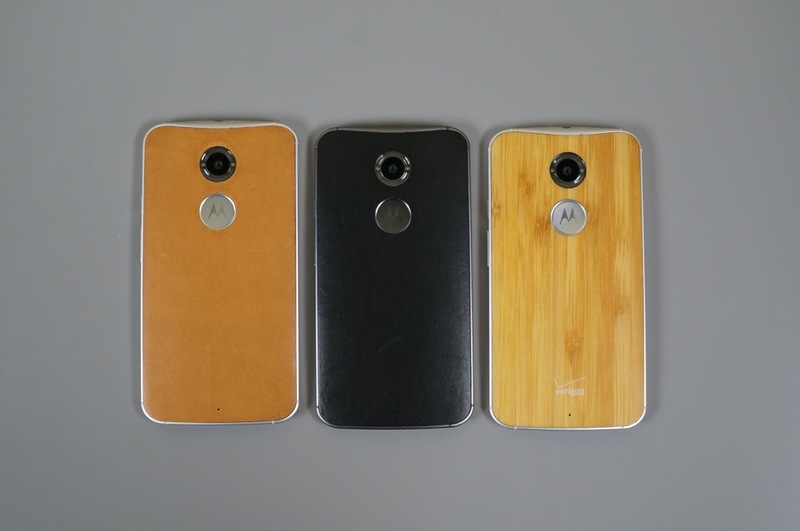 Take a look at the picture below of the “natural” backed Moto X fresh out of the box (left side), next to black leather and bamboo. Once you have stared long enough, jump below to see how the phone looks now. Quite the change, right? 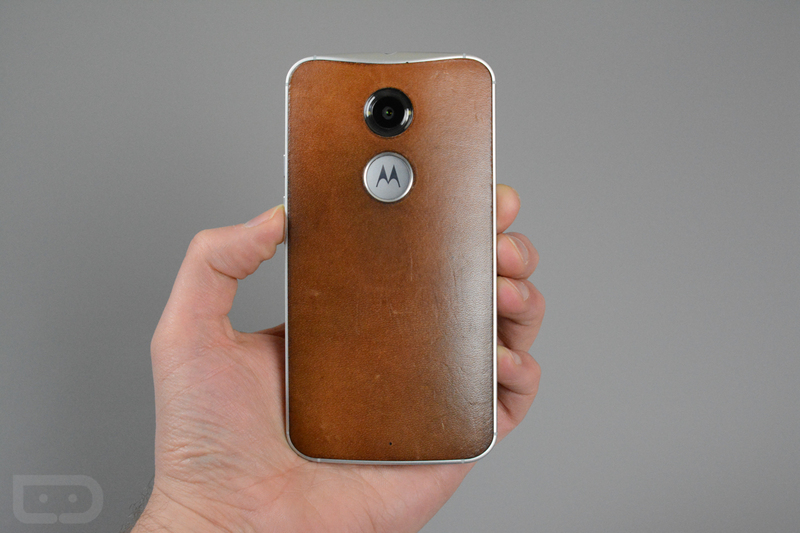 I like to think of the leather on this phone like I do the classic brown leather belt I have owned for 10 years, the one that I have swapped hardware on a number of times because the hardware isn’t holding up or showing the beautiful character of the leather. It’s like your favorite pair of jeans that shows wallet imprints and fading and color changes that can only be replicated by time, something most of us don’t like to offer up. 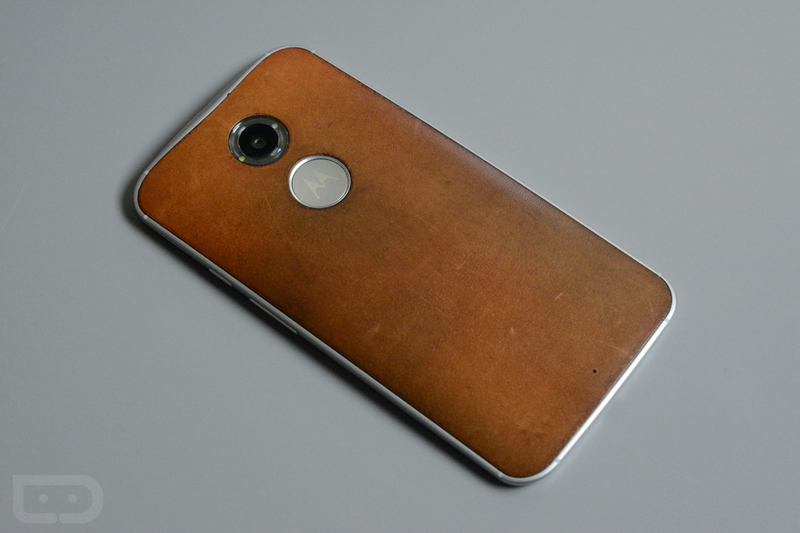 My Moto X (2nd gen) in leather shows the scrapes from fingernails, oils from my hand, tooth marks from my son, and most of all, the abuse it gets put through on a daily basis. 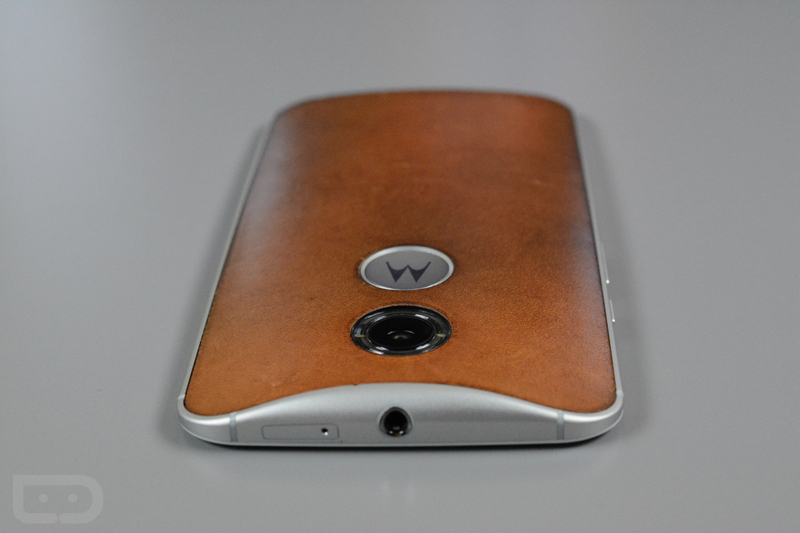 The leather isn’t coming off the phone or tearing or showing any signs of weakness. 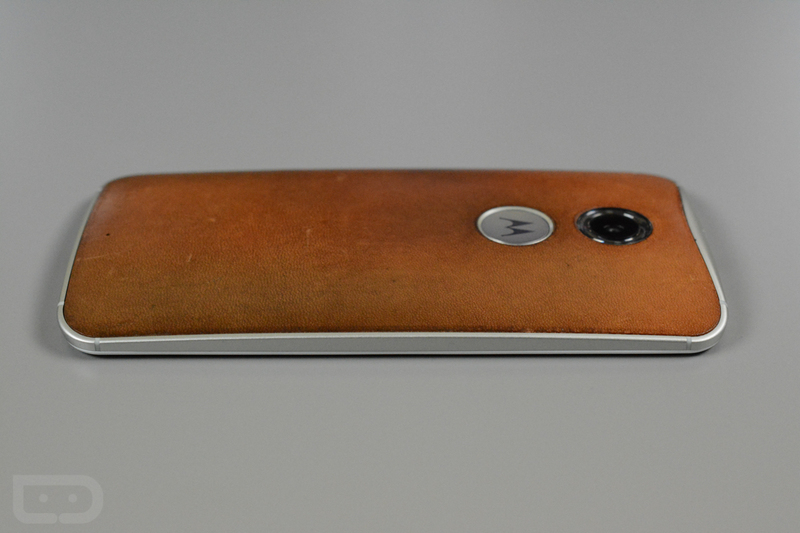 In fact, it feels more a part of the phone now than it ever has. 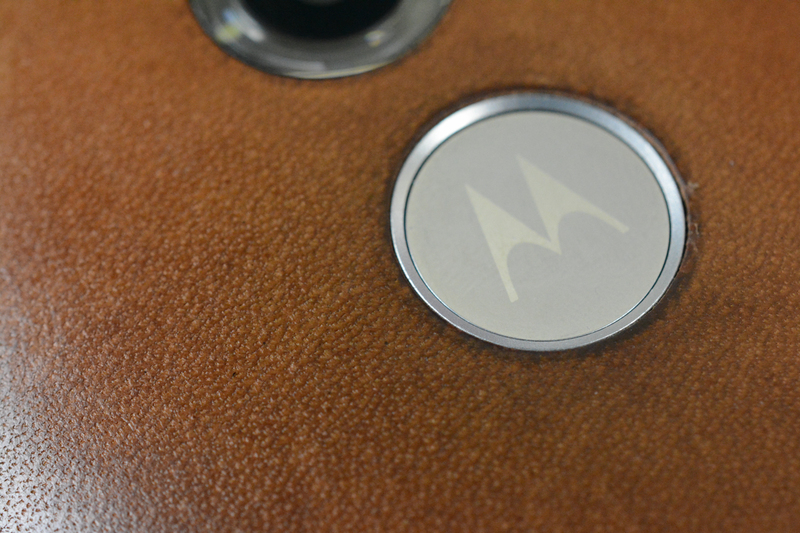 I may only be three months in, but I can’t wait to see this leather in another three, twelve or twenty months.